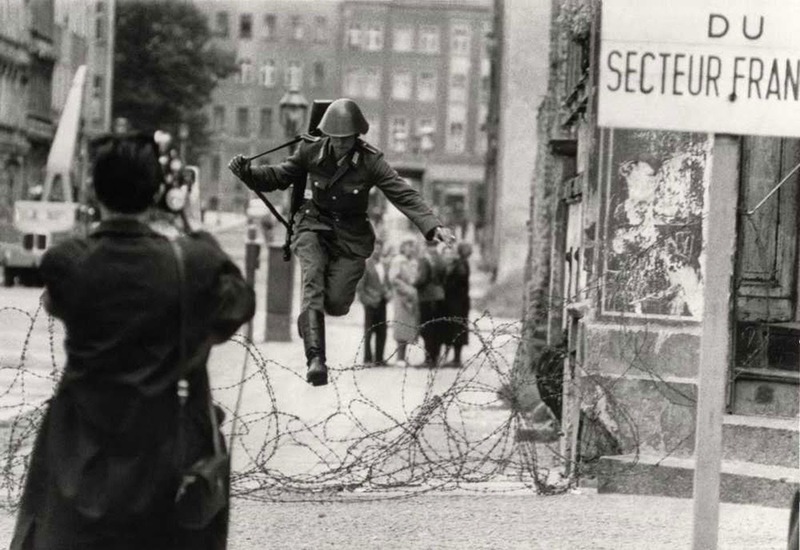 After enlisting in the East German state police, 18-year-old Conrad Schumann was assigned to the Bereitschaftspolizei or BePo (“riot police”), a force dedicated to suppressing rebellion. He had proven to be a loyal citizen, and his commitment to East Germany was never questioned. That is, until August 15, 1961. About a year after his enlistment, Schumann was sent to guard a small barbed wire fence at the corner of Ruppiner Strasse and Bernauer Strasse. Why? The two-foot fence was actually the Berlin Wall on the third day of its construction. Yet the once-loyal border guard had lost some of his certainty of living in East Germany after watching officers drag an East German child back from the western side of the border. Schumann decided he didn’t want to “live enclosed”, and for most of the day on August 15, he paced back and forth along the fence with his gun slung over his shoulder, smoking cigarette after cigarette. Multiple times, he approached the fence, sometimes pushing down on spots to make his jump easier. 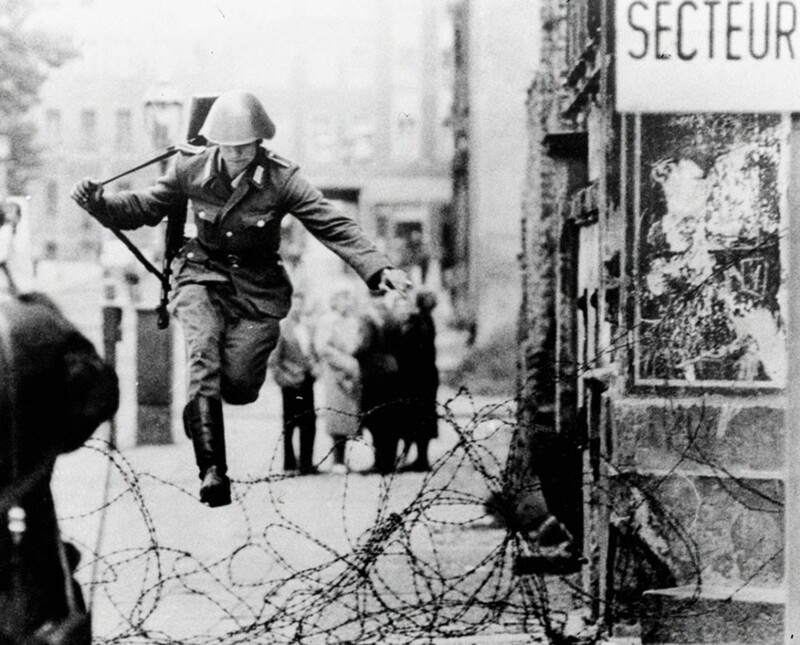 Press photographers, including Peter Leibing (also only 19 years old), were notified of a nervous guard at the intersection, and some were tipped off that the soldier was going to jump the border. A West German police car pulled up near the border as a means of escape for Schumann, idling as spectators shouted “Komm rüber!” (“Come over!”) at the guard. “I had him in my sight for more than an hour. I had a feeling he was going to jump,” said Leibing. The large crowd was beneficial for Schumann. It distracted the other guards long enough for Schumann to swap his loaded sub-machine-gun for an empty one, making the jump less difficult. At 4 PM, Schumann dropped his cigarette, turned around, and jumped the fence, dropping his gun behind him. “After that, the gun fell noisily on the ground; with a full magazine, it probably would have gone off,” Schumann explained. “My nerves were at a breaking point. I was very afraid. I took off, jumped, and into the car… in three, four seconds, it was all over.” In that moment, Schumann became the first soldier to escape after the Berlin Wall began construction. He was followed by 2,700 more soldiers during the Wall’s reign. …and the video can be found on YouTube. Leibing’s image began circulation almost immediately, spreading to countries around the world. Schumann was instantly famous, though neither the guard nor the photographer made any money from the image. “As lawyers explained, because I am a historical figure, the picture can be published everywhere without my consent. But the photographer did not become rich either. He was working for an agency,” Schumann stated. This fame left Schumann free from East Germany, but also lonely and depressed. His family remained on the other side of the Wall, and because he had not gone undercover, East German police (“Stasi”) were constantly on his tail. Schumann was able to communicate with his family through letters, in which his parents begged him to come home and assured him everything would be fine. On one occasion, Schumann was prepared to travel back home while the Wall was still standing, and he was stopped only at the last second by a West Berlin policeman. “Only much later did I realize how dangerous this situation was,” he said. “I did not know that the letters my parents were writing me were dictated by the Stasi.” After the Wall was brought down, Schumann was able to return home and visit his family. But it wasn’t the same. 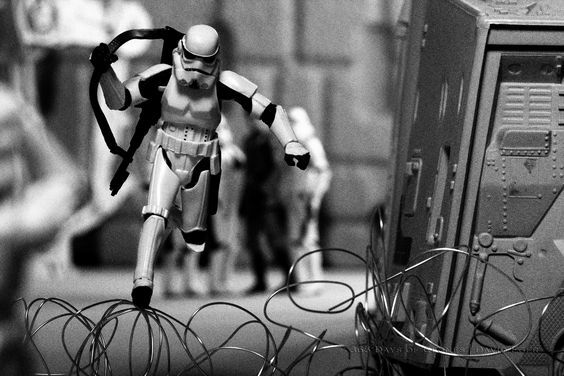 Though some welcomed him back, others viewed him as a traitor. The loneliness continued to plague Schumann for the rest of his life, until June of 1998 when he sadly committed suicide in his orchard. I could end this post there, but I’ll just add this small amount of commentary. Oftentimes, when we examine history and famous figures, we let their ages slip by us. Both Schumann and Leibing were 19 years old when their lives changed forever. They were our age. While Schumann’s life ended in sad tragedy, he and Leibing both provided the world with invaluable inspiration… the inspiration to crave a better life, to take the first step, to jump the border. Had Schumann changed his mind, had Leibing not been prepared, had they have been complacent as 19-year-old boys in mundane, caged lives, this photograph wouldn’t exist. So when you’re wondering how you could ever have any impact on the world as a 19-year-old, picture this. Hey! How did you get that picture of Finn? But on a more serious note, this was my favorite post so far. I’m not sure exactly what about it I liked, but perhaps the reference to the age at the end. It really does put it in perspective for you. I really like how the West Germans came out and cheered him on though, that’s kind of ironic. You’d think that would have tipped off the other guards on the East side that “hey, this dude might jump over”. I don’t know though, wasn’t there:). One last thing…how sickening is it that the East German police used his family to make him want to go back over! UGH!!! How evil is that! Things like that completely disgust me. LET THE MAN GO!!! AW THE SHOUTOUT TO TANNER THOUGH! Seriously, this was a beautiful and tragic post. This is one of my favorites as well. It’s hard to imagine someone our age making such a difficult decision and being “the first” to do what others would follow to do in the future. His loneliness and suicide also depict that sadness is universal, not restricted to the obvious victims of horrible things. Isolation and loneliness can be horrible and Schumann’s risky escape–while guaranteed his freedom–condemned him to a life filled with sadness. Sometimes, not every story has a happy ending. Fantastic as always. It’s so harding writing this sincerely now that we all know each other a little bit too well. With that being said, this was one of my favorites of your blog posts! I don’t know, something about it really struck a chord with me, and left me very intrigued. So yeah, I enjoyed it. Nice job. Also, I have a feeling Tanner is going to bust out laughing in the middle of his class because of this, and you will be to blame.